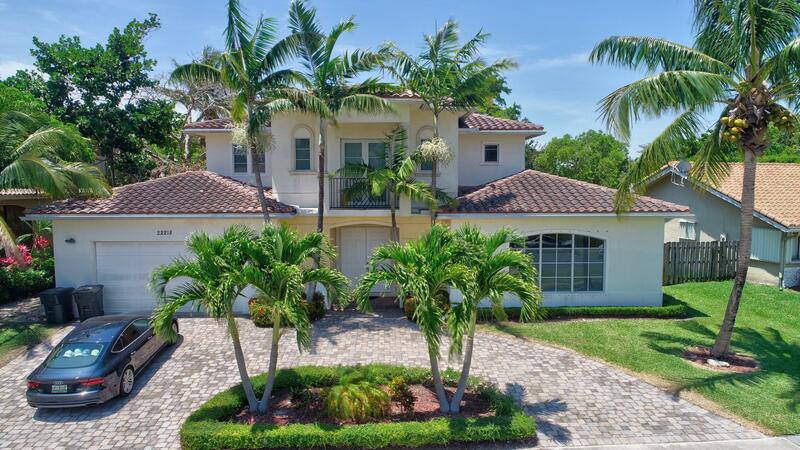 All THORNHILL GREEN homes currently listed for sale in Boca Raton as of 04/21/2019 are shown below. You can change the search criteria at any time by pressing the 'Change Search' button below. "This custom-built estate home in sought-after Thornhill Green is perfect for entertaining large gatherings. On one of the best lots in Montoya Circle, this home sits on a prime .31 acre cul-de-sac lot and backs the park and pond. 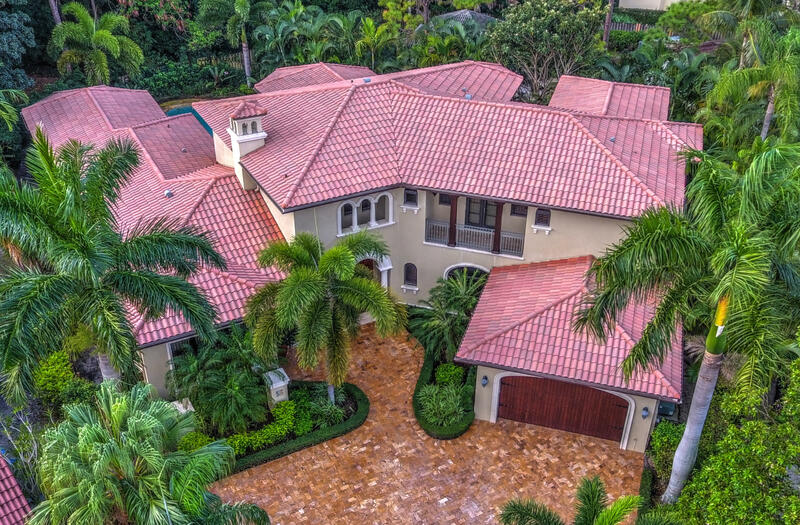 Built in 2007, and encompassing over 6700 square feet of air-conditioned living space, the home features five bedroom suites and can easily be converted to a seven bedroom home. A true example of refinement and luxury, the home is crafted with the finest finishes and meticulous attention to detail. Every aspect of the residence is ideal for elegant entertaining, from the formal dining room with Butler's bar to the eat-in Chef's kitchen, equipped with Sub-Zero refrigeration, a Wolf 48'' gas stove, four Fisher-Paykel dishwasher drawers, two sinks, and SEE MORE"
"Beautiful 2 Story Custom Estate Home in the heart of Boca Raton. Home features 5 bedrooms, 4 1/2 bathrooms with a loft. A full guest room and bathroom downstairs + office. Neutral colors throughout with a bright and open floor plan. Kitchen features cherry cabinets, granite counter-tops, double ovens, double microwaves and double dishwashers. This house is truly set up for entertaining and a family to spread out. Upstairs features a loft and a split floor plan for privacy. Marble floors on the first level. Large back yard with a resort style pool and front has a circular driveway. Impact glass windows on the second level. Close to All ''A'' rated schools, highways, shopping and houses of worship. Sellers will consider all offers." 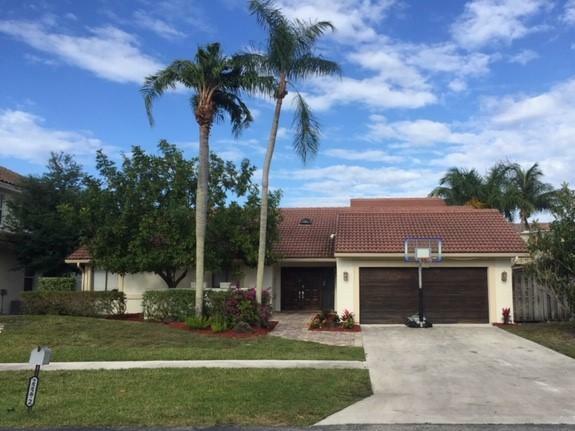 "THIS LOVELY 5 BEDROOM 3 BATH FULLY RENOVATED POOL HOME IS LIGHT AND BRIGHT. WITH 24 X 24 PORCELINE TILE THROUGHOUT MOST OF THE LIVING AREAS. THIS HOME FEATURES A FAMILY ROOM AND A BONUS ROOM WHICH CAN BE A PLAYROOM OR MEDIA ROOM.THIS HOME SHOULD NOT BE MISSED"